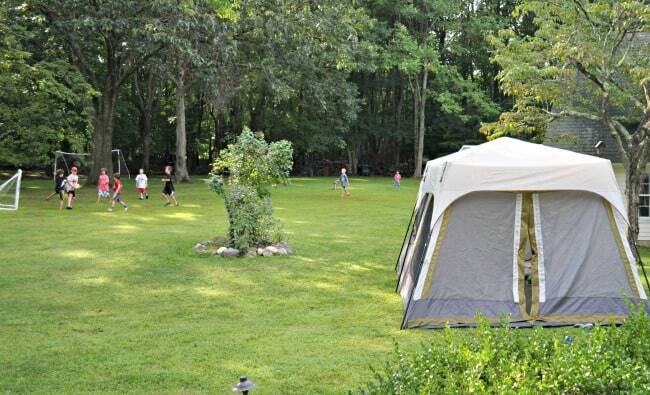 Great 9 Year Old Boy Birthday Party Idea: Backyard Camping Birthday Party Sleepover! After a fun summer that included several family camping trips, our son knew exactly what he wanted to do with his friends to celebrate his 9th birthday- a backyard camping birthday party sleepover! An evening filled with playing games outside, dinner on the BBQ, and a campfire with s'mores? Well, you can sign me up to host this kind of kids birthday parties anytime! 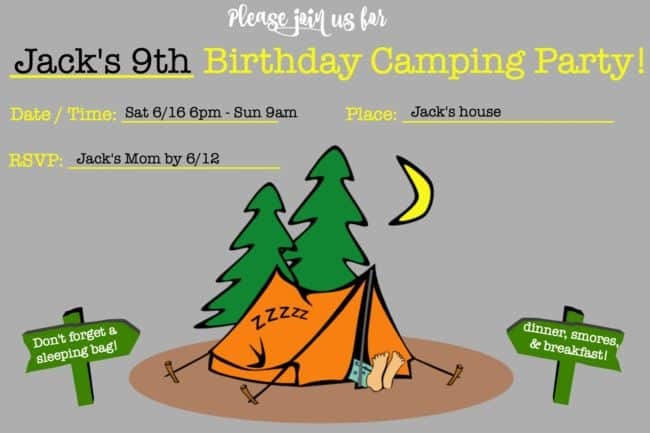 I created these cute camping birthday party invitations that we emailed the guests to invite them to our party. 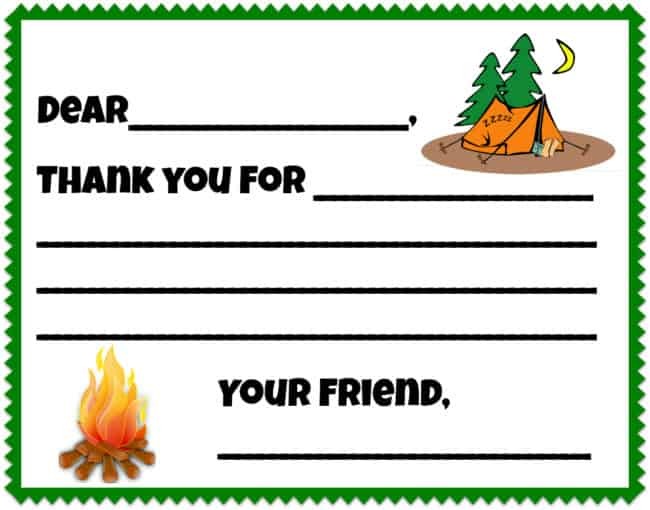 And these thank you notes that fit the theme! You can print out a blank version of the invite, thank you note, and favor tag at the bottom of this post! A husband who is happy to do the whole thing for you! We set the tent up right off of the front porch- in case any of the party guests decided they were uneasy with sleeping outside in the middle of the night (which didn't happen), and so the boys had quick access to the indoor plumbing! And since our bedroom is right above the front porch, it was also easy for us to keep an ear out for the kids all night long through the open window! Steve set up an archery area for the kids (a highly supervised activity of course! ), complete with a set of yard markers to create a line for the spectators to stand behind while each guest had a chance with the bow and arrows. 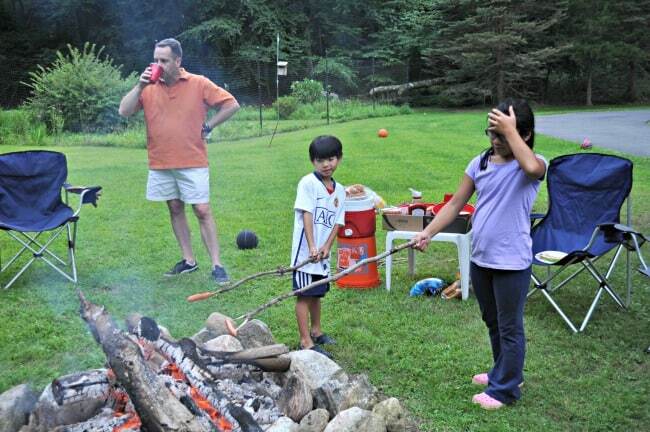 And Steve built us a fire pit too- so the kids could roast hot dogs and make smores! Jack's all-time favorite cake is Texas Sheetcake, and he requests it at every birthday! And now his friends look forward to it too. 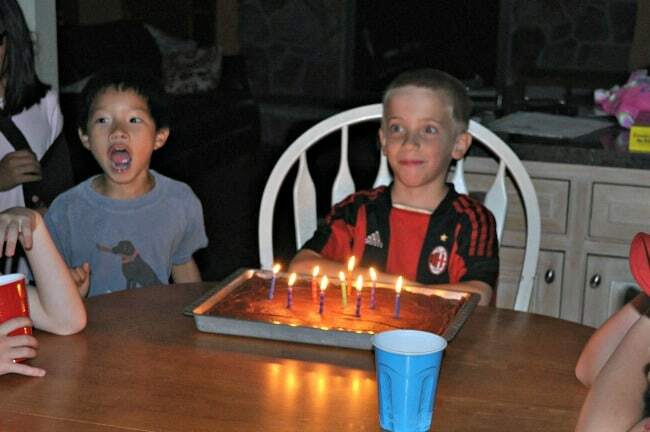 When he was younger I used to decorate the cake to fit the theme, but now that Jack is older- he prefers it without decorations, but with candles of course! Movie time indoors- we decided to watch Jumanji– a family favorite! Boys hang out in the tent and talk a lot about farting! (No, I am not kidding- this is an entire topic for discussion). While my husband and I both groan in annoyance at their antics and giggle as quietly as possible at their complete goofiness! 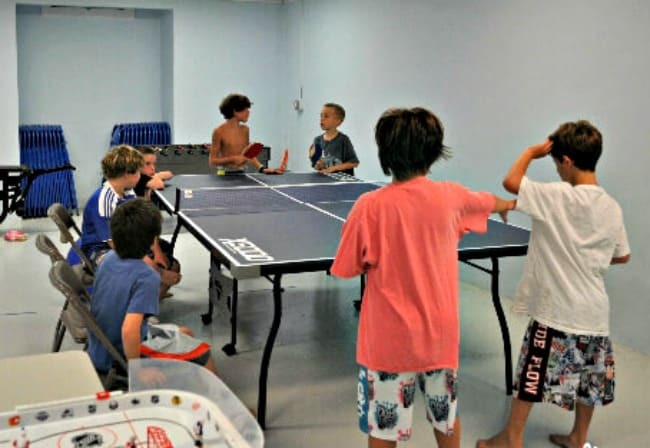 Boys hang out in the basement and play ping pong while Mom & Dad make enormous heaps of bacon and homemade waffles! We stood in awe while a dozen kids ate through enough food to feed a small army- in under two minutes. Even though I made far more waffles than I thought we would ever need- they were devoured immediately. We then spent the next 43 minutes trying to get everyone to get dressed and help pack up their sleeping bags. And in case you don't already know this, 9-year old boys apparently cannot roll up their own sleeping bags- and in spite of your most valiant efforts- will collectively leave behind 1 bag full of clothes, 1 sleeping bag, and 1 flashlight that you will need to get back to their rightful owners at a later date! Guest pick up and pass out party favors. To fit our backyard campout theme, I found these cool flashlight headlamps on Amazon (which are perfect for reading under the covers in bed, even if the guests never “camp” again!). And I included a couple of packs of soccer trading cards called “Match Attax” cards and packaged them in a plain white bag along with this favor tag. This was such an easy and inexpensive party- and Jack loved it! 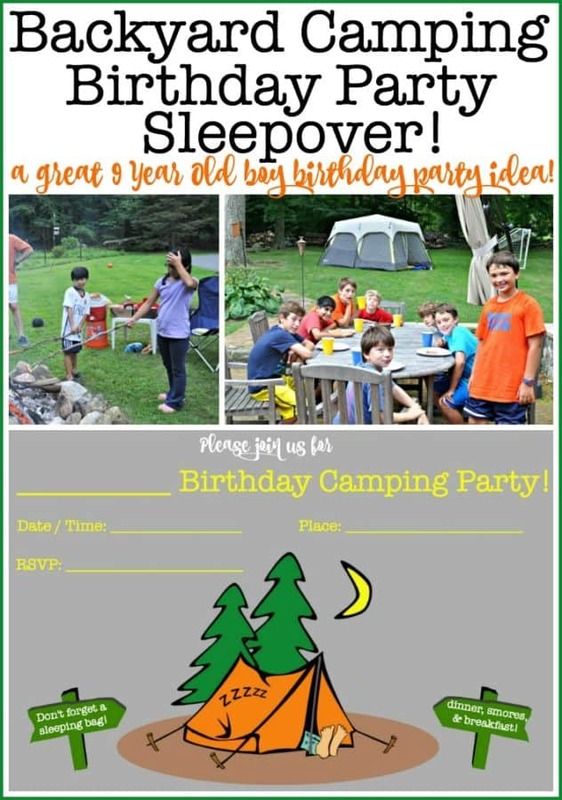 Want to Download the backyard Camping Birthday Party Printables? 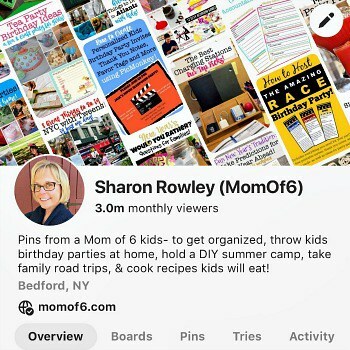 Simply sign up below to join the MomOf6 community, and you'll be direct to a thank you page with access instructions! 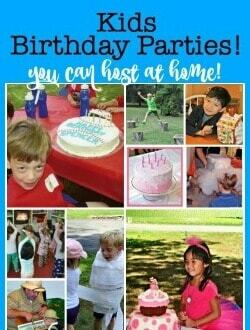 Looking for some more awesome Tween Birthday Party Ideas? Star Wars Party Ideas for Tweens! 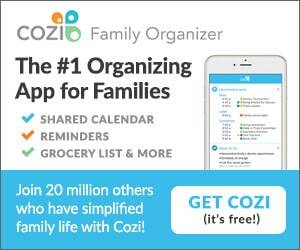 How to Throw Your Own Kids Birthday Parties at Home! 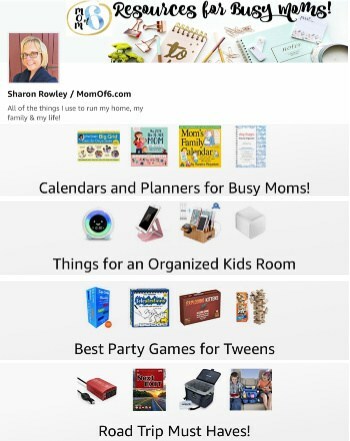 Looking for Some Great Party Games, Crafts, & Activities for Kids? Video Scavenger Hunt for Tweens (free printable party game! or Shop for These Awesome Party Games! Wow, great idea! My 10 yr old will be sooo excited! This is such a fun post! Wow Kelly- this was the nicest compliment that I have received all day… all week! 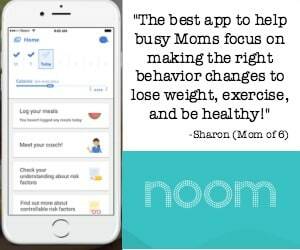 🙂 And I would say we are BOTH pretty busy Moms! I LOVE this theme party!! What a great idea! What a great idea! I don’t know any kid that wouldn’t love this idea.